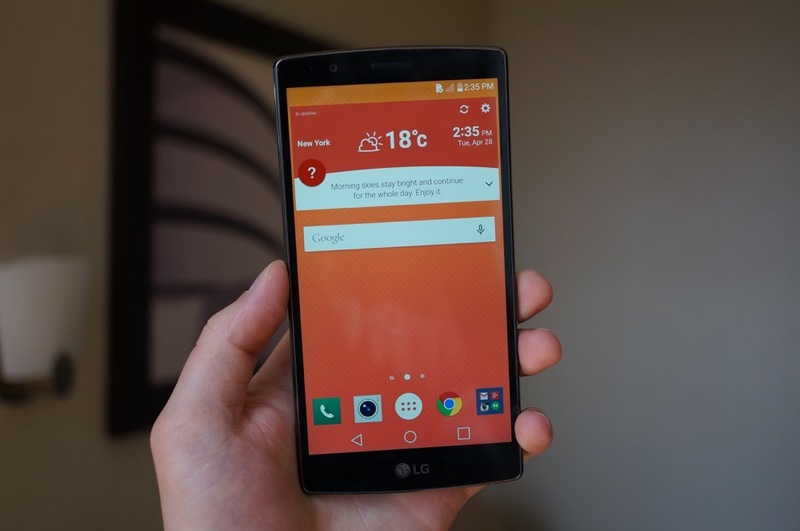 Before I got my hands on the G4 from LG, I did not know quite what to expect. Sure, any company can tease that they have made a great successor to last year’s flagship, but with LG diving headfirst into leather backsides, while also upgrading their display and camera technology, I slightly assumed they could easily miss a few points of interest for users, such as in-hand feel and battery life. In-hand, the G4 feels rather light, but not cheap. Unlike the metallic heaviness of the One M9, or the cold glassy feel of the Galaxy S6, the G4 fits somewhere right in the middle, still utilizing a heavy amount of plastic in its design. At first glance, the phone reminds me a lot of the OnePlus One and last year’s G3. 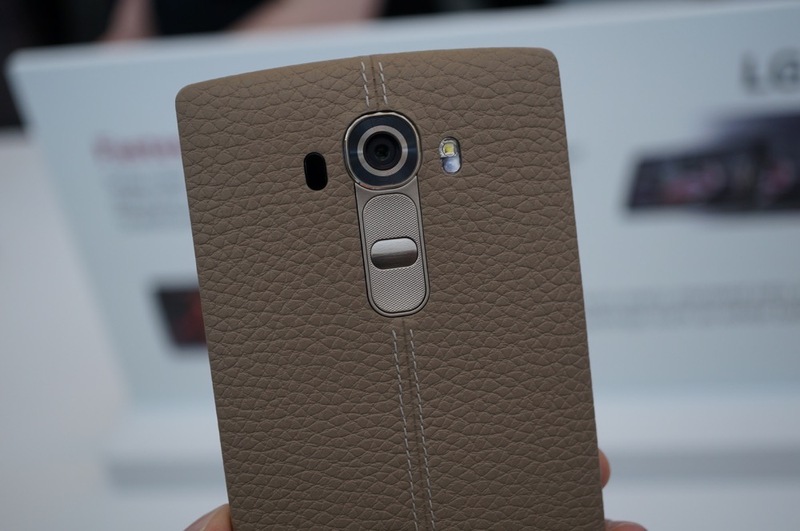 There are minimal bezels, plus a nicely sized chin with the LG logo at the bottom of the frontside. Also, there are a few different colors for the leather backsides, and there are multiple colors of the plastic or “carbon” backs. The leather, while not being Horween or anything of insane quality, does feel like leather. Not that I ever doubted that it was, but since LG has to mass produce these backsides, and still try to make a profit, I’m sure a few high-end corners had to be trimmed. Depending on the leather color you get, a different texture is featured. For Black, Light Blue and Shale (that’s what I’m calling it), you get a tumbled leather on the back. For Maroon and Tan, there is a smooth back. Personally, I enjoy the smooth backside. Continuing on, LG worked a slight curve into the design, which really helps when the device is being held in your hand. It fits wonderfully, and with no real weight to it, it’s a comfortable phone all around. During the hands-on time, I got to play with the camera, view the display during different operations, and basically give it a nice little tour. As I previously mentioned, LG has loaned us a unit to take back home and review, so as my time with it grows, I will likely have much more to say about it. However, I don’t want to leave anyone hanging. The G4 is really nice. The 5.5″ QHD display is gorgeous and the camera is remarkably good, making the G4 a serious little package when compared to the Galaxy S6 and One M9. Below, I have a hands-on video that I recorded myself when I got back into the hotel room. Since I am the only one filming, and don’t have access to a tripod, there is a tad bit of shakiness, so please excuse that until I can get back home to all of my equipment. In the meantime, I am more than happy to answer any questions or show off select features if anyone asks for it. Verizon's Galaxy S4 Gets Lollipop This Week! 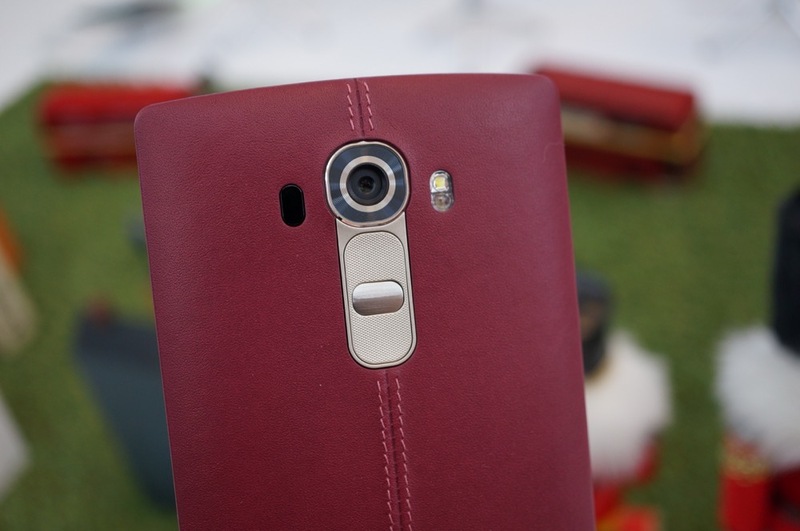 Tuesday Poll: Is the LG G4 Your Next Phone?